A historic building in the centre of a County Durham town with a growing reputation as a prestigious venue, has added an events manager to its team in response to increased demand. After a change of ownership late in 2014, the Manor House in Sedgefield was refurbished and launched as a business centre, and also secured a licence to host events and marriages. 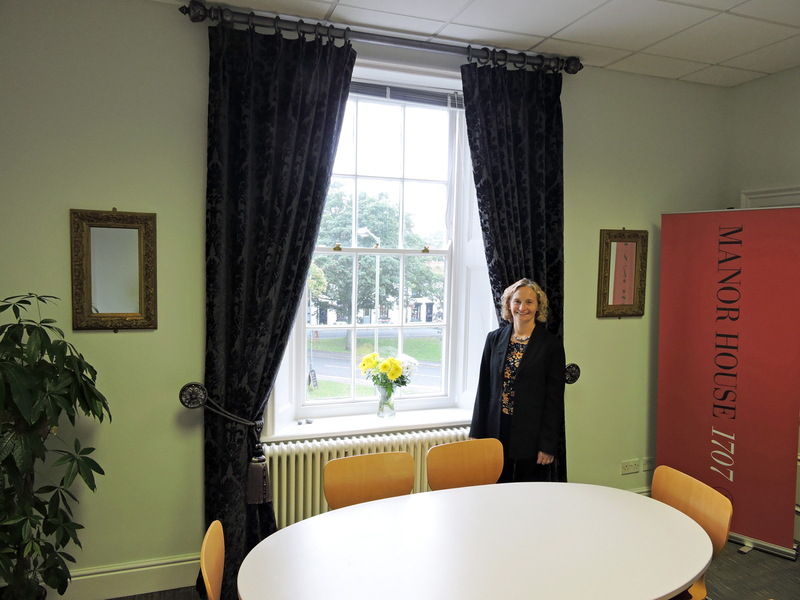 It has since become a popular venue and the owners have now appointed Marie Walker to promote and manage the wide variety of events that the building is able to attract. The Grade II* listed Manor House in Sedgefield was built in 1707 and has had a variety of uses during the last 300 years. It is now a business and events centre with furnished and unfurnished offices, events spaces and meeting rooms spread over three floors. Under the management of Manor House 1707 Ltd, the site is fully equipped for modern businesses and currently has only one vacant office. As well as a base for businesses, the Manor House also boasts versatile events and meeting space options, including the Old Court Room on the ground floor, a spacious Georgian reception hall, a grand staircase backed by a renowned Palladian/Venetian window, and the first floor Freville Room overlooking Sedgefield village green. The building is preparing to host its first wedding later this month and has a busy diary of other bookings stretching into 2018. With licences secured for weddings, entertainment, and bars, owner and managing director Ean Parsons took the decision to hire a dedicated events manager, and Sedgefield resident Marie Walker has now joined the team. For more information about the Manor House and events in the building, call 01740 629999, email events@manorhousesedgefield.co.uk, visit www.manorhousesedgefield.co.uk or www.facebook.com/manorhousesedgefield, or follow @ManorHouse1707 on Twitter.